The murder of actor David Marlow is no surprise, since the man was uncouth and arrogant; loathed by cast and theatre crew alike. But there are a lot of questions and few answers. Was Marlow somehow connected to a young woman’s death from a heroin overdose? Or is the reason for his murder much closer to home? DI Lyle and his team must pull out all the stops to unmask the killer before the greasepaint dries and the curtain rises on the chilling final act. My Review: When David Marlow is murdered, no one sheds a tear. Even though Marlow is an egotistical, misogynistic, blackmailing jerk, DI Lyle is still determined to get to the bottom of his murder. With the help of Fox, Redfern, Mahon, and the rest of Ashbeck team, the crime is thoroughly investigated even while these dedicated investigators are facing their own personal challenges at home. 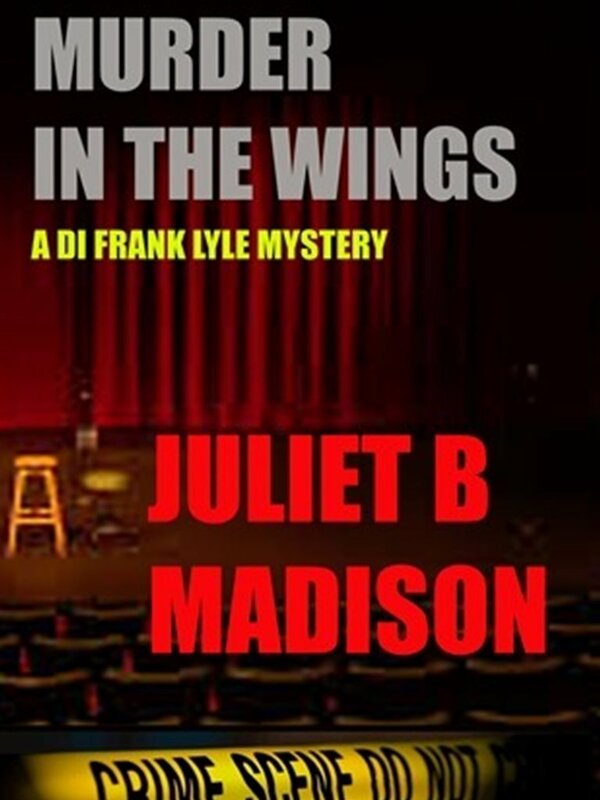 Murder in the Wings is another brilliant novel in the DI Frank Lyle Mystery series. Though not as dark as Heir to Misfortune (Book Three), Murder in the Wings still tackles some adult subjects such as sexual jealousy, infidelity, and drug use. Madison approaches these topics with her usual straightforward, honest style that I've come to expect and appreciate in her novels. Crime scenes and investigative procedures are graphic and extremely well-researched, but what I love about Madison's novels are the human aspects. I'll warn you now--if you're a homophobe, this novel is NOT for you. One of the subplots involves a romance including love scenes between two gay men. The relationship between the two characters is very sweet and romantic, but it can also get quite spicy, so this is not a book for underage readers. Indeed, the entire book is very realistic and gritty, so readers with tender sensibilities should read with caution. Over the course of the series, I've come to know Lyle and his team as intimately as I know my own family. I know their likes and dislikes, their strengths and weaknesses, and their quirks. Lyle is a passionately dedicated family man whose wife, Jayseera, is staunchly in his corner. As an ex-cop, she understands that his job must sometimes take front and center. Lyle's adult son, James, is also supportive of his father, and it's obvious that he has an incredible amount of respect for him as a parent and a cop. But, James has a secret in this novel and it isn't long before Lyle finds out what it is. Though deeply personal in nature, James' secret ties back to Ashbeck nick and it's up to Frank to support his son when he needs it most. I really can't say enough about this series. I would definitely recommend it to anyone who likes mysteries and crime thrillers. In fact, even if crime novels aren't your thing, you should give it a try. I'll admit, I'm not a huge fan of crime novels, but Madison's characters are special. They draw you in and before you know it, you're hooked. I know I am.